As the largest economy in Latin America and the sixth largest in the world, Brazil is on the rise and so is the demand for learning Portuguese for business. Celpe-Bras is the only official proficiency certification in Portuguese as a foreign language. 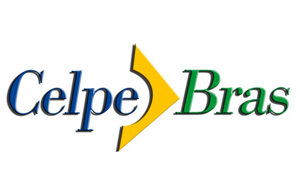 Businesses and educational institutions worldwide use Celpe-Bras as proof of competency in Portuguese and the certification is required for admission of international students to Brazilian Universities. Organized by the Ministry of Education and in cooperation with the Brazilian Ministry of Foreign Affairs, the Celpe-Bras exam is the only official proficiency certification in Brazilian Portuguese as a foreign language. The exam tests for the following language levels: Intermediário, Intermediário Superior, Avançado, and Avançado Superior. For information on exam application, dates, and location, please visit the exam’s website. Lessons are conveniently offered via Skype or Google Hangouts. This is not your typical eLearning course in which you learn on your own. Our webcam lessons are face to face. You will be completely engaged with your instructor. During your sessions with your instructor you will practice and develop your speaking skills. We use materials from previous Celpe-Bras tests together with our exclusive handouts to keep your speaking practice focused on the Celpe-Bras exam. Following each session you will have an essay for homework. These essay exercises are based on previous Celpe-Bras exams. They use texts, audios, and videos, and ask you to write about the topic. Though we have used our best efforts in preparing and executing this program, we make no representations or warranties with respect to the actual Celpe-Bras examination and specifically disclaim any implied warranties with respect to your performance in the actual test. Evaluation criteria used by Celpe-Bras is not publicly available. Celpe-Bras is not a multiple choice test. It will require you to write several essays and prove your oral competency to discuss ideas and opinions in Portuguese. Street Smart Brazil shall not be liable for your test results. Flexible scheduling: book your lessons with any of our instructors. We offer lessons virtually any day, any time because we have instructors in different time zones. With that said, if you are interested in buying a book, we have a review of the best books to learn Portuguese on our site. [LINK] (link to https://streetsmartbrazil.com/blog/20091220/books-study-portuguese ) You will also find a list of additional materials including books, movies, and CDs at our Online Amazon Store[LINK].